Pipe and tubing are considered to be separate products, although geometrically they are quite similar. ‘‘Tubular products’’ infers cylindrical products which are hollow, and the classification of ‘‘pipe’’ or ‘‘tube’’ is determined by the end use. Tubular products called pipe include standard pipe, conduit pipe, piling pipe, transmission (line) pipe, water-main pipe, oil country tubular goods (pipe), water-well pipe, and pressure pipe. Standard pipe, available in ERW or seamless, is produced in three weight (wall-thickness) classifications: standard, extra strong, and double extra strong (either seamless or welded). 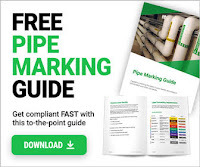 ASTM and the American Petroleum Institute (API) provide specifications for the many categories of pipe according to the end use. Other classifications within the end use categorization refer to the method of manufacture of the pipe or tube, such as seamless, cast, and electric resistance welded. Pipe and tube designations may also indicate the method of final finishing, such as hot finished and cold finished. Pressure tubes are differentiated from pressure pipe in that they are used in externally fired applications while carrying pressurized fluid inside the tube. Structural tubing is used for general structural purposes related to the construction industry. ASTM provides specifications for this type of tubing. Mechanical tubing is produced to meet particular dimensional, chemical, and mechanical property and finish specifications which are a function of the end use, such as machinery and automotive parts. This category of tubing is available in welded (ERW) and seamless form.